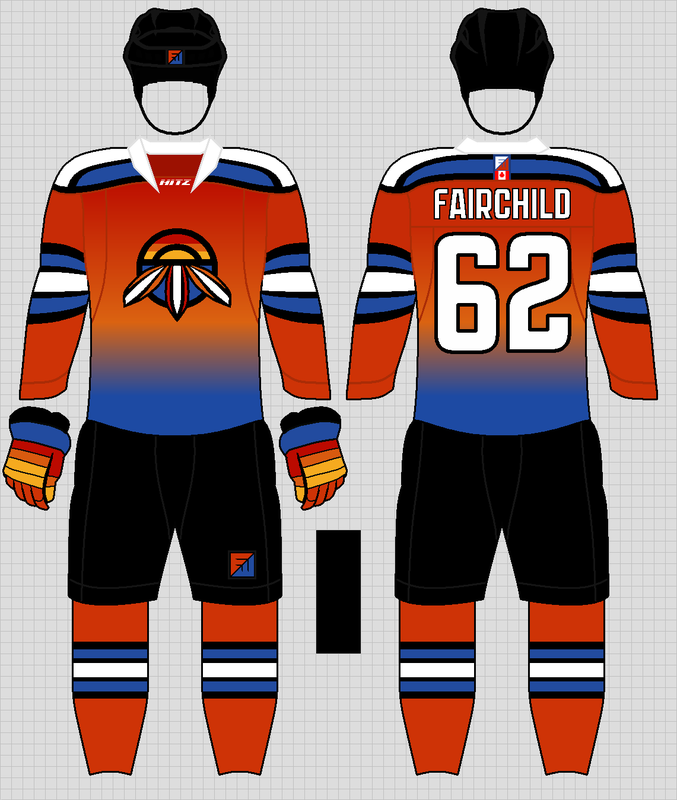 LONG WRITE-UP BELOW: IF YOU WANNA JUST SEE THE UNIS, SCROLL DOWN. I'm gonna let you in on two secrets about myself. #1: I'm obsessed with hockey. I can still remember the first game I bought for myself. I just got an Xbox on Christmas Day 2002: I was 8. The next day, during the cataclysm of Boxing Day shopping, I smashed my piggy bank and bought the first hockey game I could find. 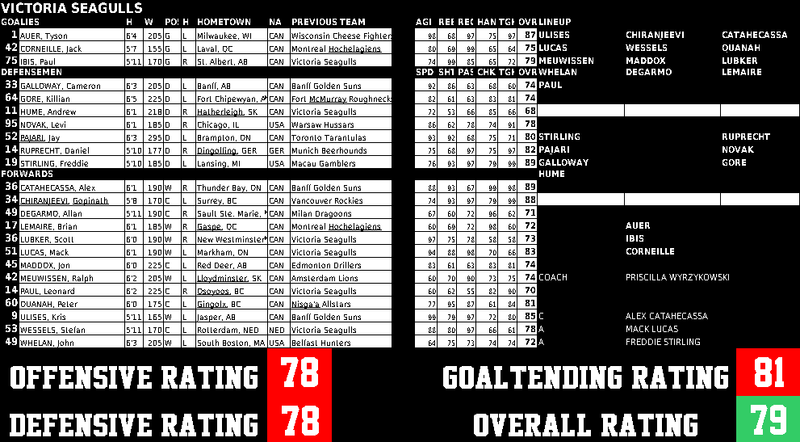 It was a little thing called NHL Hitz 20-03. Chris Pronger was on the front cover, surrounded in flames. I bought it thinking I had just bought a normal hockey game. I was very wrong. 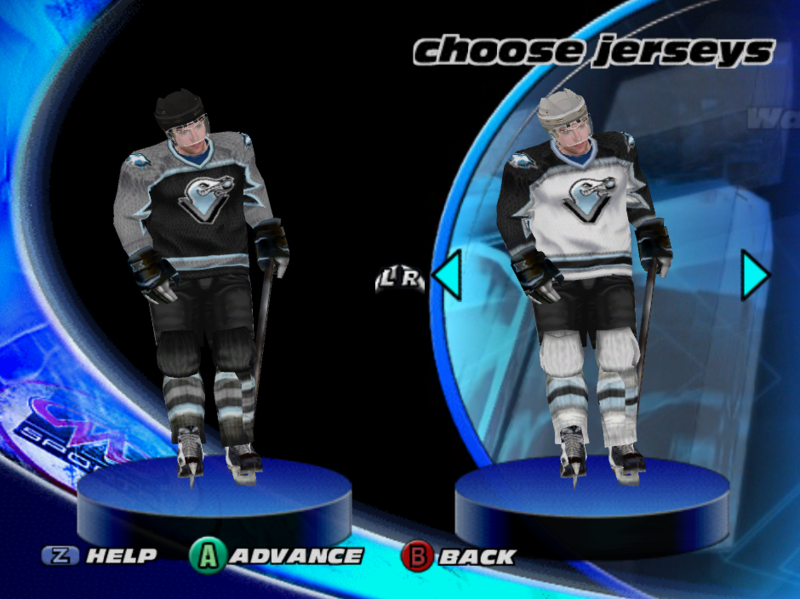 In NHL Hitz, the action is 3-on-3. It's fast paced, violent, and incredibly unrealistic: think NBA Jam or NFL Blitz on ice. Games are played for 3 3-minute periods, and there are only two penalties: fighting and goalie interference. If you lose a fight, you're ejected. If you win, you and an opposing player serve concurrent 30-second penalties, and the rest of the players play 2-on-2 for the time. Someone would always score. 2-on-2 tends to work like that. Anyway, the franchise mode for that game enamored me. In it, you pick a small team of players and play against a series of 40 increasingly-difficult opponents for the right to play in the NHL. The mode would work like this: you'd play 4 teams, and if you beat them, you'd play a "boss team". You beat them, you advance to the next round. In later rounds, you'd play against actual NHL teams, but in earlier rounds - and in every boss game - you'd play against some weird and wacky imaginary team in an odd location: there were teams on four continents, in sun and snow, in big bustling cities like Tokyo, Hong Kong, London, and New York, and others in places like Victoria, Sarnia, and Montego Bay. Not long ago, I found my copy of the game again, and the obsession continued. 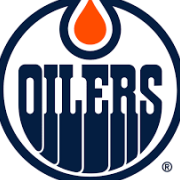 But now, I can't help but think the teams, logos, and information is all dated. This is a 16-part series, where all the "made-up" teams are made up, dressed down, and made over. 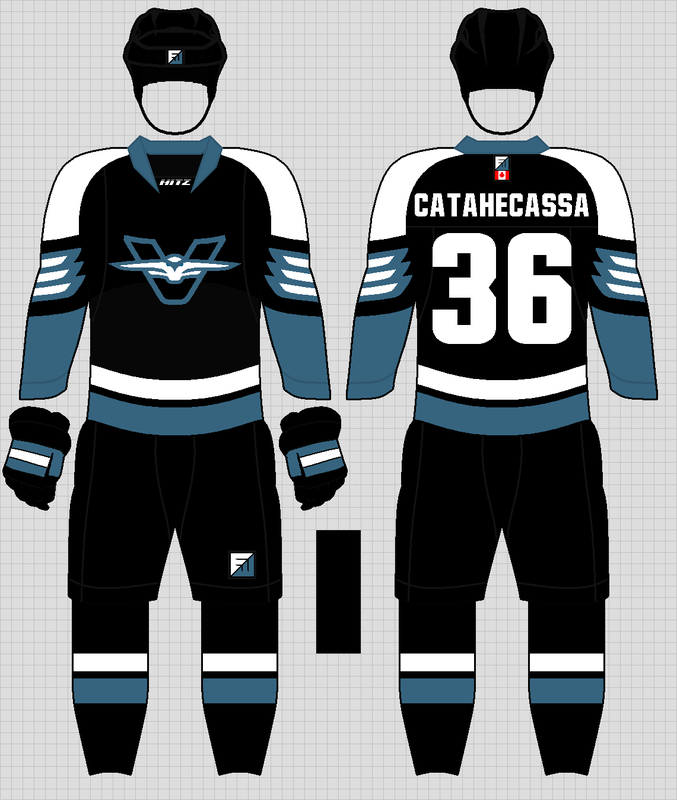 New unis and logos are used for all teams; there's even a name change for one team. 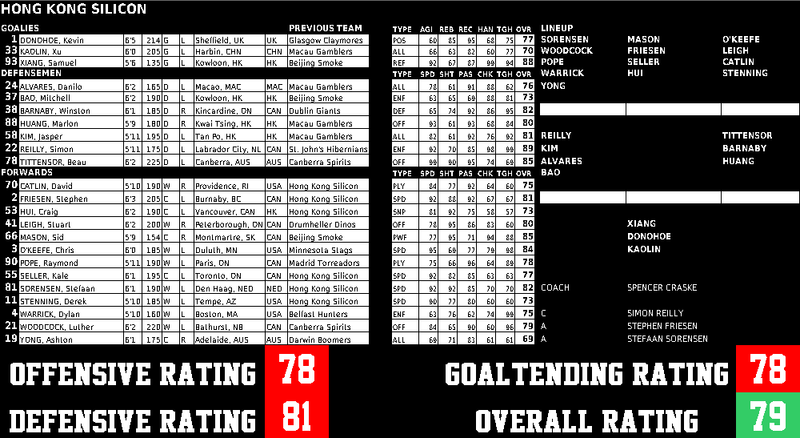 I used a random name generator to produce new names for players; a random number generator was used to create statistical attributes. 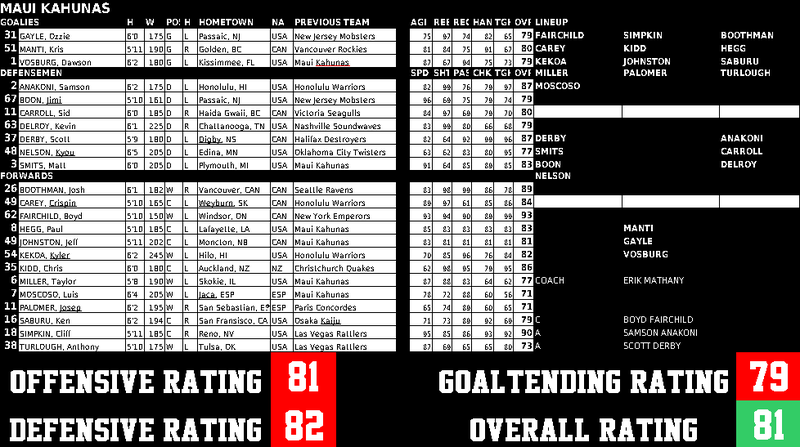 Phony histories were made; full 23-man rosters were made out of thin air. A new season will be run to determine who's on top in the newly-established Global Hitz League. A warning before the first team is unveiled: I've gone into quite some detail about these new players, and the unis will not be what can be considered "conventional". These aren't real teams: these will never hit the ice. So, let's break some rules, and have some fun. Without any further babble, here's team one: the #16 ranked Hong Kong Silicon. 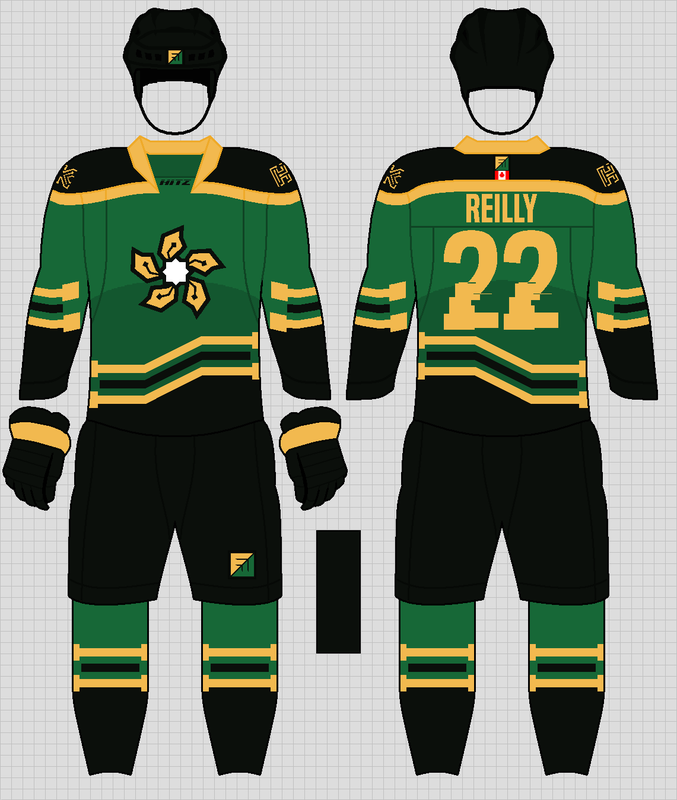 For reference, here are the original uniforms from the game. And here is the roster and attributes of the 2016 Hong Kong Silicon. C&C is welcome about...well, everything. If you've got a question about the game, the project itself, or anything else, don't hesitate to ask. Loving this! Can't wait to see more. The memories please keep this going....Also the staticy computerized numbers are a nice touch. 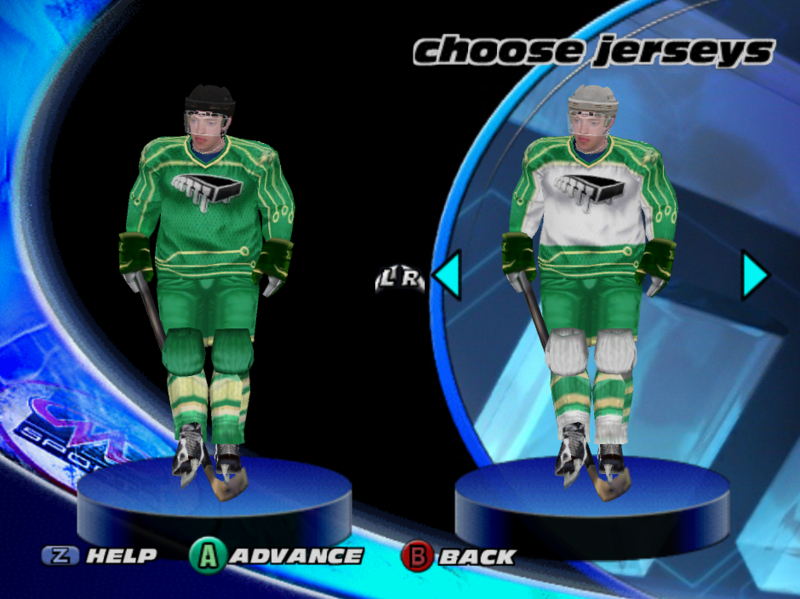 NHL Hitz was so much damn fun, so I'm elated to see this series show up. Hong Kong looks great, I'm excited for the rest! Glad to see you guys like it. I'll post the next team tomorrow morning: anymore feedback before that? Here's the next one up. The #15 ranked Victoria Seagulls. Colours are pretty much the same, but with a single shade of blue replacing the grey and silvery-blue. 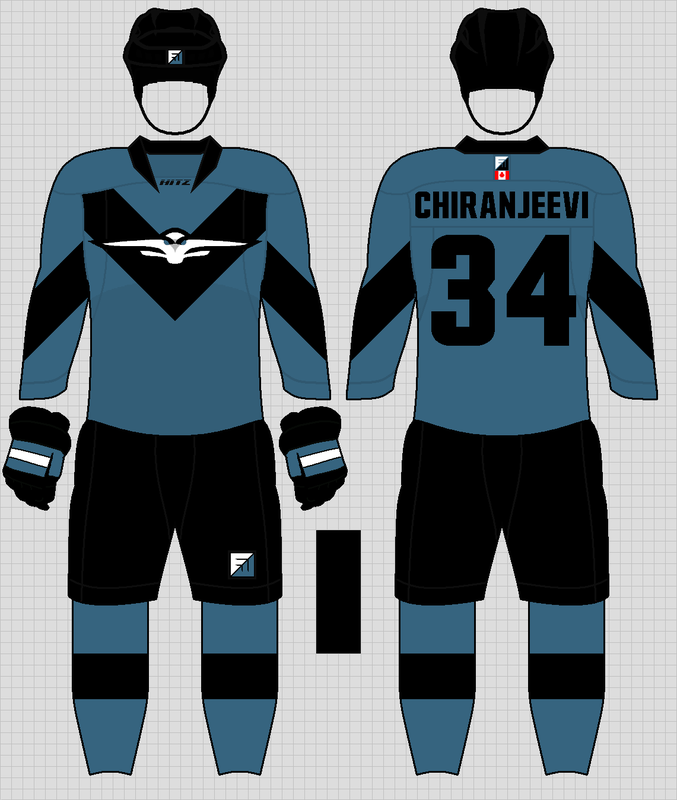 For the third, I will admit that I shamelessly ripped off the old "Flying V" unis from the Canucks, because... well, they're worth ripping off. C & C welcome, like last time. Next team will be posted later this week. We'll be heading to the tropics for something bright and bold. I suggest you keep your eyes peeled for it. Great ideas overall. Both concepts far superior to the original inspiration. Your numbers and nameplates look too big, though. Bulk reply time, before I post the next design. Is that "good" interesting, or "bad" interesting? Either way, there will be more interesting stuff on the way soon. You ain't seen nothing yet. Awesome! I tried making them as "tech-y" as the originals, while not making them look too tacky. Hope I succeeded. More designs are on the way. Team #3 will be up before work this morning. Awesome! Hope you liked them. The game is amazing; even if you're not a hockey fan, I'd recommend it. If they were to re-do the game with these designs, I'd be the happiest man on Earth. Thanks, man! I was hoping someone would enjoy those. Agreed. Soooo much damn fun. Keep your eyes peeled, man. I'll release them as an .xls once all 16 teams are released. I like that someone's picking up the details here. Thanks for noticing that. The original logo was alright, but I thought it was dated. And that seagull was ugly as sin. Thanks, Whittier. That means a lot from someone whose work I've learned from and enjoyed. The numbers and nameplates are supposed to be bigger, kinda like the Stadium Series uniforms. Most of the teams later on play in some odd locations, most of them outdoors. The big numbers and nameplates are supposed to be easier to see for far-away spectators. Do I have your curiosity as well? I certainly hope so. Anyway, the next design will be up tomorrow. It'll be weird. I promise you that. I just hope you find it to be "good" weird. Today, we're taking a trip to the sunny shores of Hawaii, for the #14 seed, the Maui Kahunas. This one's more outside the box than the rest. Don't say I didn't warn you. I was looking to simplify this set. There's nine different colours in the original; that's far too many. The gradients, I figured, could still work, but if they were toned down a bit. The yokes are supposed to look like the surfboards in the logo, by the way. C & C appreciated, as always. The next design will be toxic. Get your HazMat suit. Wow, that Maui 3rd jersey is awesome. The others expiramental, but in a good way, I'm pretty sure I like them. Like you said, it's weird, and I think it is a "good weird." The original design is horrid though, you improved it by a lot. 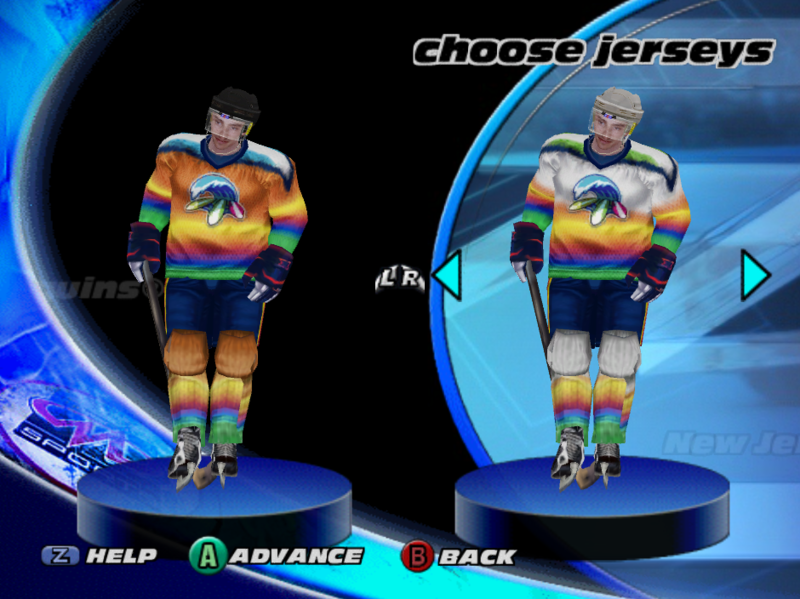 Come on you dont like the rainbow original jerseys. I agree this is a big improvement. 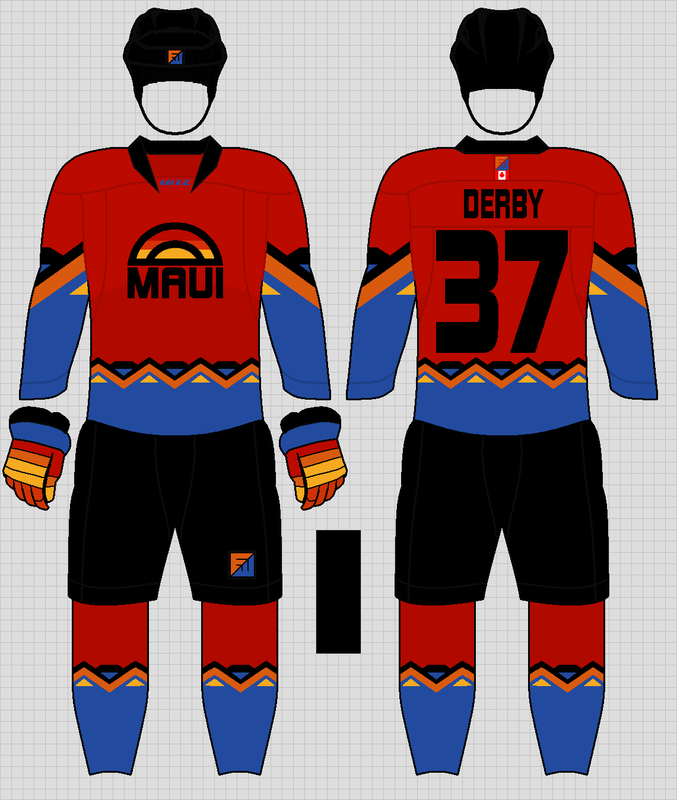 I really like Maui's third jersey. Great job. 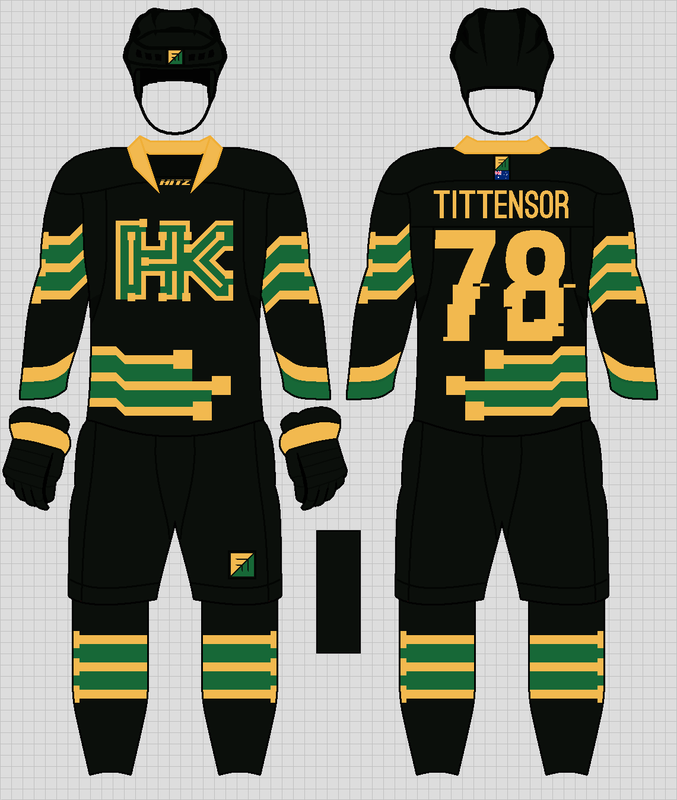 I actually like the gradient in an odd way (on the other jerseys). 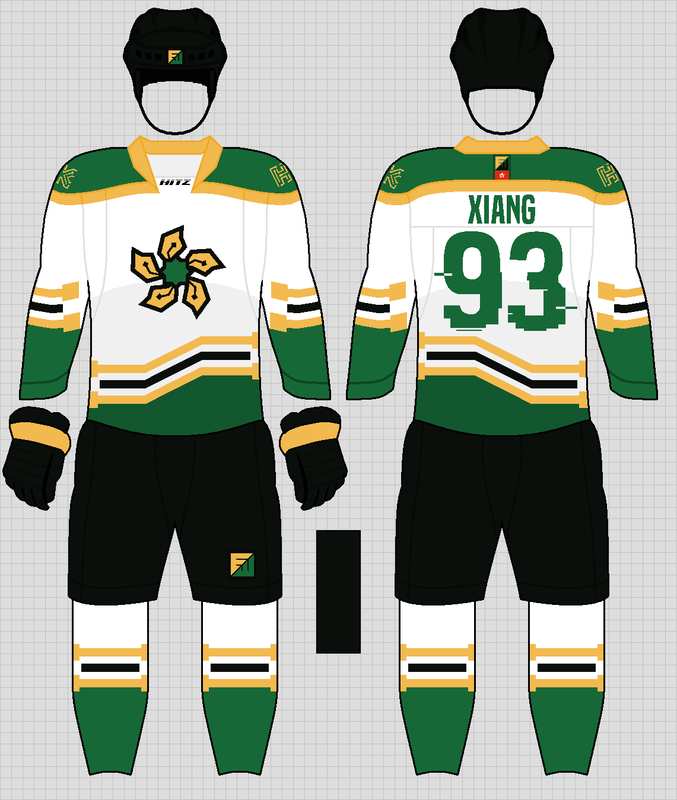 I had never entertained the possibility before, but hockey jerseys' striping along the bottom actually can be done with gradients instead of traditional striping. I think it really works in the edgy-style league you are producing here. The problem I have is with the striping on the sleeves, yoke, and socks; I think the stripes visually clash with the gradient. 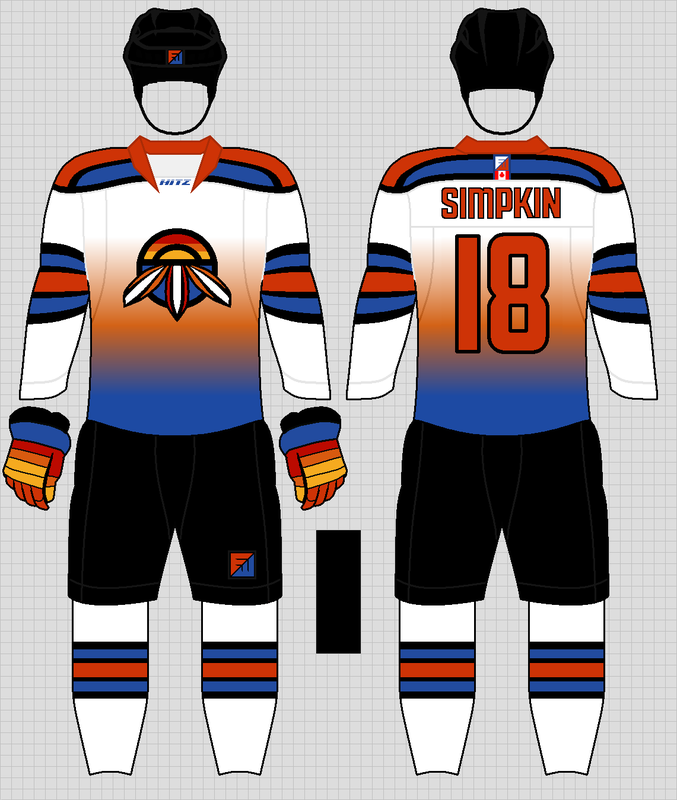 I would make those stripes gradients to match the body of the jersey. 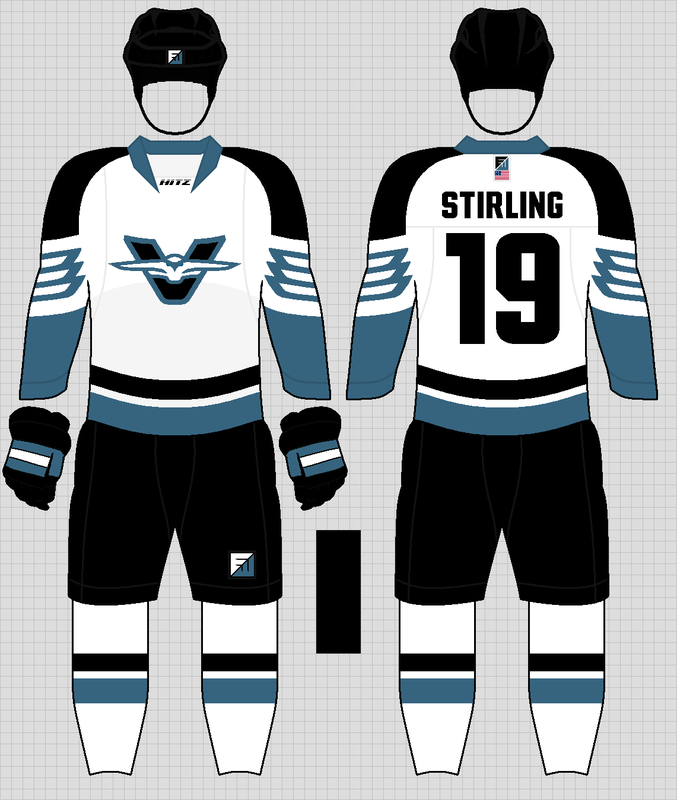 Gradient actually works here but the alternates reminds me of the old coyotes uniforms from the 90's and I love it!